Premium-Line FS 6-way Brennenstuhl extension cord in black / light grey and 3m cable impresses with its quality and safety in all areas. Its stylish, stable casing consists of highly break-proof, polished polycarbonate. 6-way 3m H05VV-F3G.5 with 13A fuse. With illuminated safety switch for turning on and off (2-pole). With practical fastening eyes for wall mounting and cable clip for storing surplus cables. 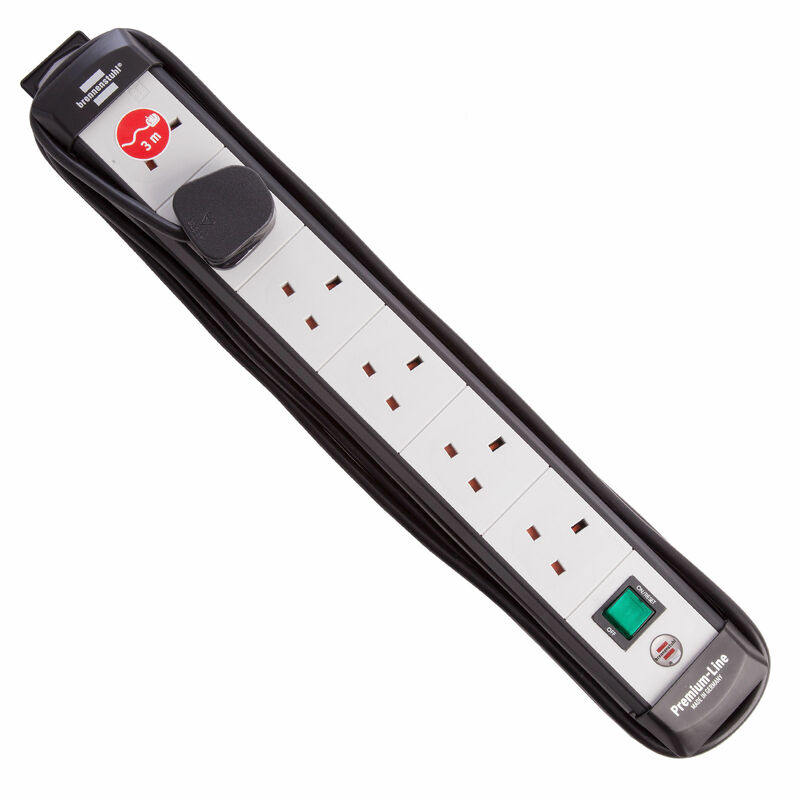 Advanced "fuse switch reset technology" eliminates time consuming plug fuse replacement. Simply resettable in case of overload by a "switch OFF/ON"